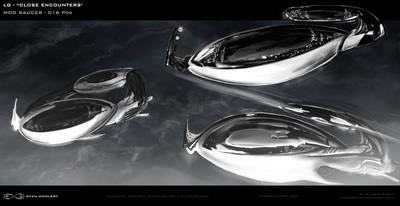 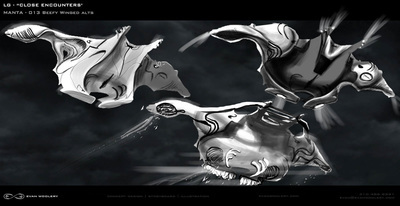 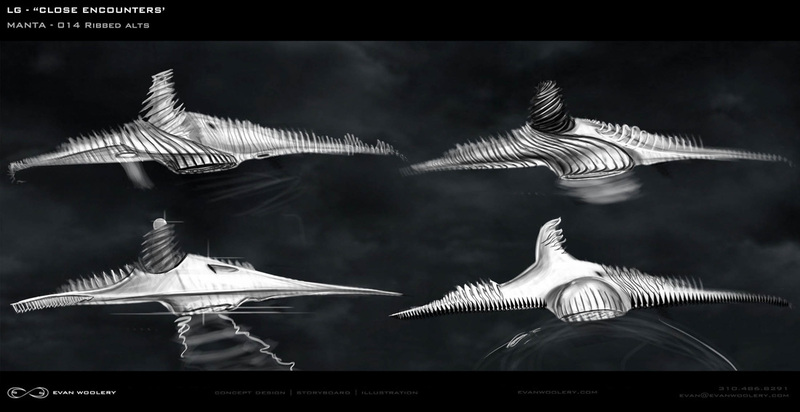 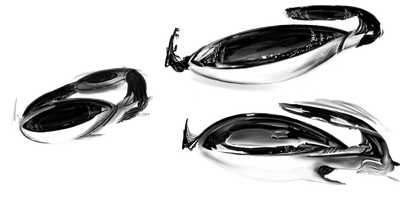 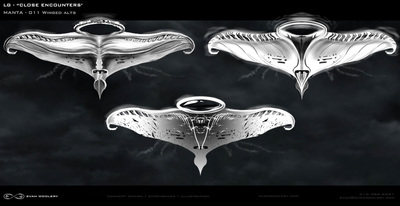 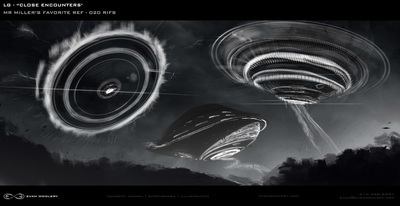 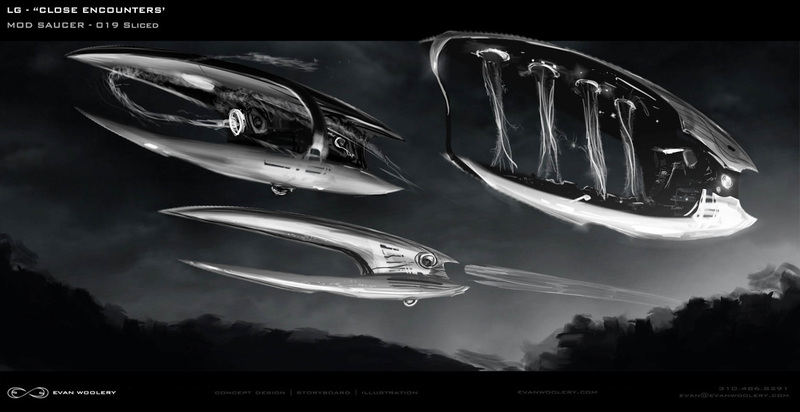 Concept designed UFO for production designer Jesse Benson and Radical Media director Steve Miller. 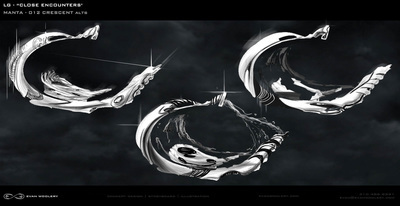 Visual Effects by Framestore. 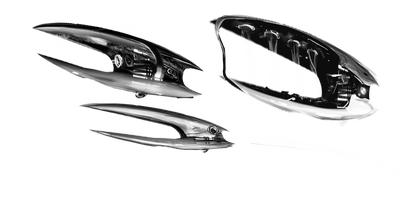 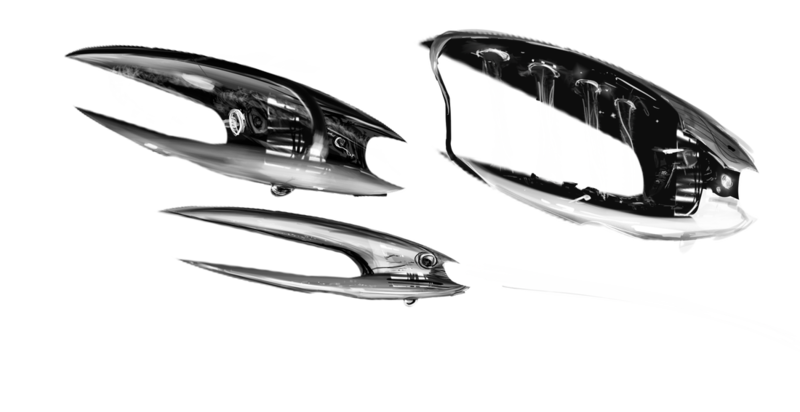 Initial design brief was to come up with unusual ideas for a UFO such as a techno-organic creature for transportation, but we eventually returned to the more classic UFO approach.